Advantage:low oil consumption, environmental design, ensure high stability, Under a bridge keep you safe and stable. 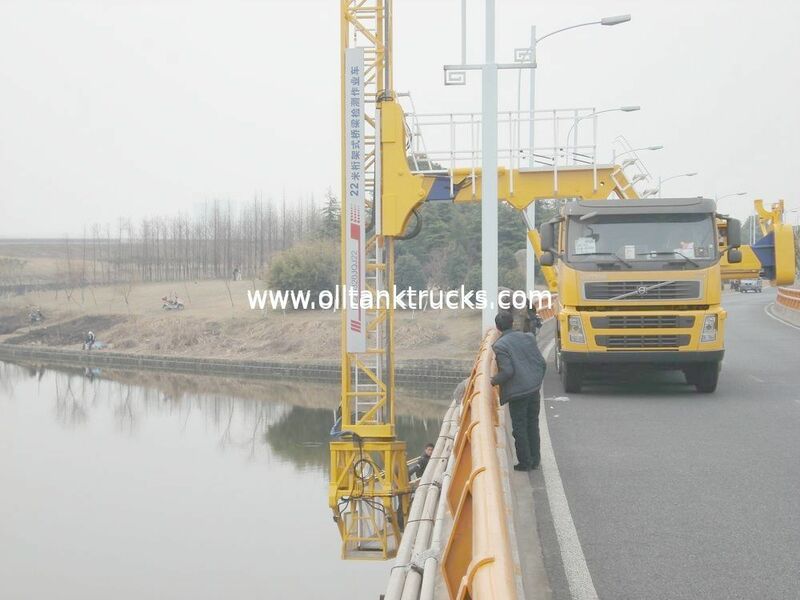 Bridge Inspection Vehicle is the latest operating vehicle which independently developed by our company, it has nice exterior, compact structure, easy operation, safe and reliable features. 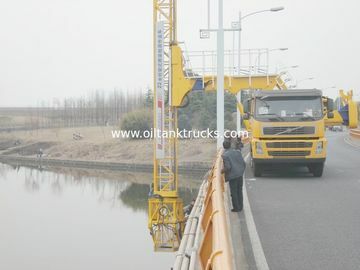 It can safely and efficiently send staff and testing equipment to any location which the bridge magnitude allowed, in the meanwhile complete the work in the shortest time. It also meet the testing requirements for most different bridges. The new platform design has imporve much reliability and stability and safety. The new developed product with it’s own exported chassis and some OEM components, such as US POCLAIN amble motor, US KOHLAR emergency power supply, Germany “HAWE” Mutiple Valve, Italy “WOLFF” valve etc. greatly increase the service life, easy maintenance. Three hydraulic section with broader extension, rotary platform, luffing machanism together created a three-dimensional folding, much more suit for those flyovers, long-span, approach heavy duty bridges.Bridge Inspection Truck: The operating truck for bridge detection, as its name suggests, is designed to help detect the performance and reliability of a bridge. Reasonable structure, simple operation, more safety design.